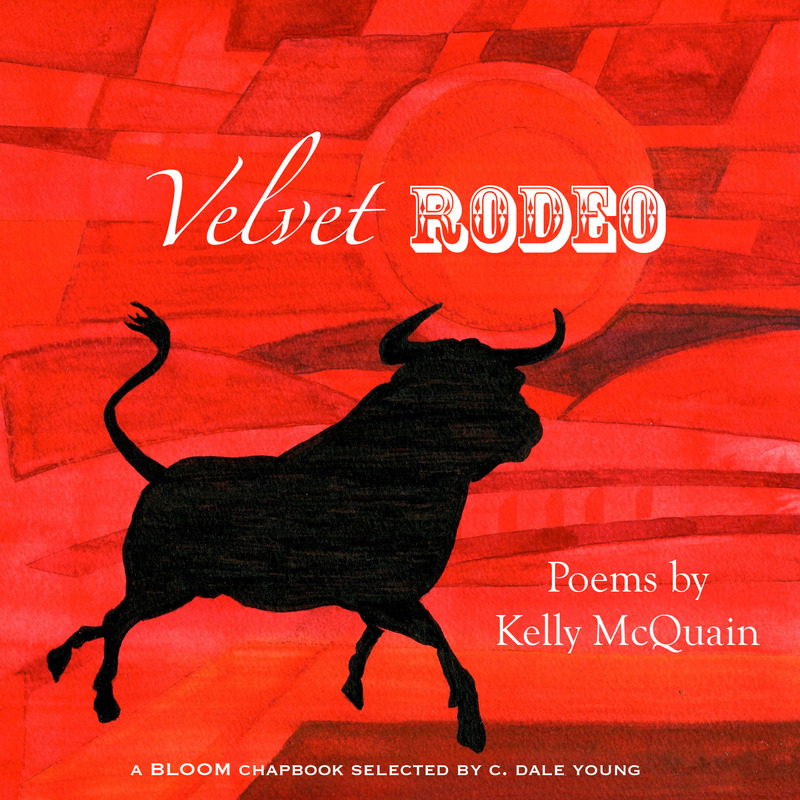 Velvet Rodeo won the 2013 Bloom chapbook contest. It was selected by C. Dale Young. For more information, visit http://bloomliteraryjournal.org. Coming of age, finding identity, negotiating family relationships; these themes are all here, explored through Kelly McQuain’s characteristic precise description and formal attentiveness. “Creation Myth” is a sweeping and ambitious exploration of a time and a place. We can see the narrator’s young parents as they court, and the young poet himself “drawing pictures of Superman/on the back of empty envelopes” in his small town West Virginia church. McQuain’s observations of his small town beginnings put me in mind of seeing people through the Trailways bus windows when I was coming or leaving home during my own college years. There’s a respect for family here, a sensitivity for how even those (like a prejudiced grandfather, in “Southern Heat”) who lack self-awareness, are products of their environments and stories—they are complicated. All may connect with “Creation Myth” and other poems in this vein because we all have similar questions about our personal origins. What was he (father, brother, self) like? Why are we (siblings) the same, or different? McQuain’s hard-boiled observations of travellers are amongst my favorites here. In “Alien Boy” and “The Absinthe Drinker,” he confidently puts himself in the scenes giving us the kind of exciting feeling of travelling (and eavesdropping). “A Man in the Station Bar Makes Me Miss My Train” is a clever, Queneau-esque exercise in style (write a poem including as many names of drinks and liquors as possible) and also a reverie on youthful attempts to break out and be bad. You’re welcome–happy to get the word out!